200 magical poems to read aloud and learn by heart. 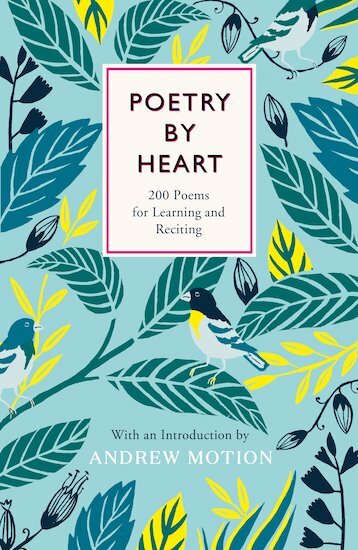 In 2012, former Poet Laureate Andrew Motion had the great idea of setting up Poetry By Heart: a nationwide poetry recital competition for secondary school pupils. The contest has proved a massive hit, with hundreds of schools taking part. Now this book brings together all 200 poems from which contestants make their choices. A treasure-trove of wonderful verses – love poems and war poems, funny poems and heartbroken poems, familiar poems and rare ones, realistic ones and fantastical ones. Poems on every subject under the sun, with one feature in common: they’re perfect for reading aloud!